Shaun Bierweiler, vice president of U.S. public sector at Hortonworks, has said federal agencies seeking to modernize information technology infrastructure should leverage enterprise open source software platforms. 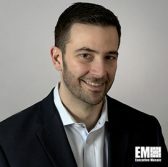 Bierweiler wrote in a GCN guest piece published Tuesday that there are four advantages associated with the adoption of enterprise open source and one of those is choice. An open source community offers more options that could help agencies achieve cost savings, meet system requirements and keep them from experiencing challenges associated with vendor lock-in arrangements and proprietary platforms. “Evaluating ‘best of breed’ options gives enterprise open source managers the ability to focus on the mission rather than data management pain points,” Bierweiler noted. “This in turn creates an agile system built for a rapidly changing data environment that significantly increases functional capacity and lessens the effort required to integrate solutions on an ongoing basis,” he added.